Mike Morales and Rick Levy taste and discuss Nocaut Reserva Tequila Blanco. Tequila Aficionado Reviews Nocaut Reserva Tequila Blanco. Carefully handcrafted from the arid, fertile fields of Amatitan, Jalisco by one of the premier tequila producers, TEQUILA SELECTO DE AMATITAN (NOM 1459) our tequila has won triple gold medals and Best of Category from the Polished Palate, SOM Spirits of Mexico competition. The manufacturing and bottling of Nocaut Reserva is an art form, combining old world craftsmanship, with modern technology. Each bottle is meticulously made by world renowned Artisian Craftsmen. 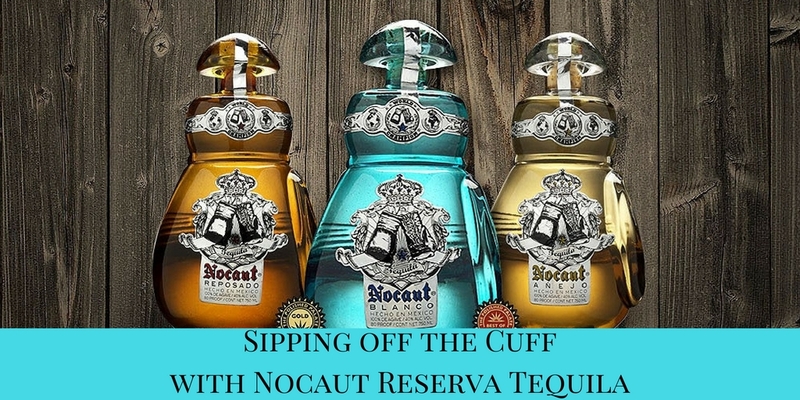 Nocaut Reserva uses 9 year aged, estate grown Webber’s Blue Agave. Only the finest hand-picked agaves are used to produce Nocaut. We bake our Agave in brick ovens for up to 12 hours and precipitate fermentation using naturally occurring yeast. Our tequila is Pot-Distilled, then bottled or rested. The Reserva Reposado, and Anejo presentations find their unique satisfying notes and aromas from special charred Bourbon barrels procured from some of the top American whiskey distillers. REPOSADO- Rested in charred oak bourbon barrels for 9 months. This has a softer taste and slightly amber color. ANEJO- Aged in charred oak bourbon barrels for a minimum of 18 months. It possesses a a dark amber color with a medium oaky taste. EXTRA ANEJO- Aged for 4 years in American oak. This is one of a kind with a dark amber color, hints of vanilla, oak and a touch of spice.